Home > Entranceexam > KEAM 2018 (CEE Kerala)- Seat Allotment Started! KEAM 2018 - Commissioner of Entrance Examination (CEE) has released the schedule for Round 2 of KEAM Seat Allotment. CEE also released the rank list for the exam held on 23 and 24 April 2018 for securing admissions to engineering and pharmacy courses. Candidates can get the seat allotment process on this page. Candidates can register themselves for the seat allotment process by clicking on the link provided below on the page. After the declaration of KEAM result 2018 for B.Tech and Pharmacy courses, the officials have released KEAM rank list on 20 June 2018. KEAM rank list is available below, candidates are required to click on the link provided below. A total of 46,686 candidates out of 58,268 qualified candidates have submitted their marks in the second year of the qualifying examination to the commissioner for entrance examinations. KEAM result 2018 has been prepared on the basis of performance of aspirants in the paper I and II. Candidates who have secured less than 10 marks in KEAM 2018 is considered disqualified in the entrance test. Based on the merit position in KEAM rank list 2018, aspirants will be called for the counselling process. KEAM is conducted for admission to 57,100 B.Tech seats offered by around 398 engineering colleges in the state. Go through the article KEAM 2018 for details on the result, rank list, counselling dates, fees, seat intake and more. Latest Update: Schedule for Round 2 of KEAM Seat Allotment 2018 has been announced online. Candidates can register themselves by clicking on the link mentioned below. Reporting day for admission by students who could not take admission on the above-mentioned dates. KEAM Rank List 2018 has been released by the officials. Candidates can get the notifications related to the Rank List 2018 on this page. Candidate should be an Indian resident of Kerala origin. Persons of Indian Origin (PIO)/Overseas Citizen of India (OCI) will also be considered as Indian citizens for the limited purpose of admission and any kind of reservations will not be available for their admission. Candidate should have completed 17 years of age as on 31 December 2018. There is no relaxation in Minimum Age and there is no upper age limit for appearing in KEAM 2018. For Engineering: Including B.Tech (Agri. Engg.) and B.Tech (Food Engg. & Tech) courses under the Kerala Agricultural University, B.Tech (Dairy Technology) and B.Tech (Food Technology) courses under Kerala Veterinary & Animal Sciences University and B.Tech (Food Science & Technology) course under Kerala University of Fisheries and Ocean Studies. Candidates who have passed Higher Secondary Examination, Kerala, or Examinations recognized as equivalent thereto, with 50% marks in Mathematics separately, and 50% marks in Mathematics, Physics, and Chemistry put together are eligible for admission. However, candidates with 45% marks are eligible for the admission to the management quota seats in Private Self Financing Engineering Colleges/Government Controlled Self Financing Engineering Colleges. (*): Biotechnology as a subject in Class 12 or equivalent will not be considered for academic Eligibility for BAMS/BHMS / B.Sc.(Hons. )Agri., B.Sc. (Hons) Forestry, BFSc. (**): Candidate should have passed: 10th standard with Urdu or Arabic or Persian language as a subject or clear the test of Urdu in the Entrance Examination conducted by the University or Board or Registered Society authorized by the Government to conduct such examination; or Pre-Tib Examination of one-year duration. Candidates with Locomotory disability of lower limbs between 40% to 70% need only 45% marks in case of Biology/ Biotechnology and 45% marks in case of optional subjects put together for admission to MBBS course. Candidates belonging to PD Category will have a relaxation of 5% Marks in Engineering & Medical Allied Course except BDS i.e they need 45 % marks in the case of Mathematics/ Biology and 45% marks in the case of Mathematics/ Biology, Physics and Chemistry in aggregate. Candidates who have passed Higher Secondary Examination, Kerala or Examinations recognized as equivalent thereto, with 50% marks in Biology/Mathematics separately and 50% marks in Physics, Chemistry and Biology/ Mathematics put together are eligible. The candidates applying for the admission in B Pharm course would have to appear in the Paper 1 of KEAM Consisting of Physic and Chemistry. Detailed eligibility criteria are given towards the end of the page. Interested candidates can apply online and to know how to fill online application form click here. There is no offline mode of the application process for KEAM 2018. There is a common application form for admission to all the courses in KEAM 2018. Applicants can apply using the link given below. Applicants must note that only one application form is to be filled for the admission to one or all the courses of KEAM 2018. KEAM 2018 Admit Cards is available to download from 10 April 2018, Admit cards are available in online mode only, applicants are advised to download and take the printout of the KEAM 2018 Admit Cards, which is to be produced in the examination hall and must not be mutilated. Course Opted For: Candidates are required to select the required course or courses to which admission is sought for. Centre for Examination: Candidates are required to select a Centre from the list of below given Centre of Examination. The payment of the KEAM Application Form is to be paid by the applicants in online mode only; Applicants are required to fill and take the printout of the confirmation page after the successful payment. Applicants can pay the application fee via Debit card, Credit card, Net Banking or using E-Challan Option. Note: ST candidates are exempted from payment of application fee and Candidates choosing Dubai as Examination Centre will have to remit additional fees of Rs. 12,000 which can be paid using online payment (from anywhere) and Echallan if payment is made in India. CEE, Kerala has announced the result of KEAM 2018 on 22 May. Check KEAM result entering the application number, password and provided security pin. KEAM result 2018 has been declared in the form of score card. The link to check KEAM 2018 result has been provided on this page above. Candidates will be shortlisted on the basis of KEAM 2018 Merit List. Separate KEAM Rank list will be prepared for the given below subjects. The candidates appearing in the Engineering Entrance Exam must have to score the minimum of 10 Marks to find a place in the rank list (Not required to score minimum marks, however, if any candidates fail to answer any question will be treated disqualified). KEAM 2018 Counselling has been started from 23 June 2018 for Engineering, Architecture, Pharmacy, Medical and Allied courses. Candidates who have qualified in KEAM 2018 to secure their admissions in various courses can now register themselves for KEAM seat allotment process. To register, the candidates can click on the link mentioned below. For Calculation of Qualifying Exam Marks: If the candidate has not studied Chemistry in Class 12 or equivalent then marks of Computer Science will be taken into account for the calculation of aggregate marks. in the final year of the qualifying exam. The final year marks of the qualifying examination of each subject Mathematics, Physics and Chemistry/Computer Science/Biotechnology/Biology of the students who have passed the subject, received from the respective Boards, shall be transformed out of 100. The marks of the three subjects shall be computed out of 300 after affecting standardization in each subject. The candidates who are applying for the BPharm admission in KEAM 2018 are required to appear only in Paper 1 of the KEAM Engineering Entrance Exam and the selection of the candidates will be based on the Centralised Allotment Process. In the case of a tie in the total marks computed for the preparation of B.Pharm rank list the candidate with the higher marks in Chemistry in Paper-I of the Engineering Entrance Examination will be placed higher in the ranking. If there is still a tie, the age of the candidate will be taken into account and the older will be placed higher in the ranking. To qualify in the Entrance Examination and thereby become eligible to figure in the rank list for admission to B.Pharm course, a candidate has to get a minimum of 10 marks out of the index of 480 calculated. The candidates who get allotment shall have to pay the fee shown in the allotment seats at the selected branches of the State Bank of India (SBI) or by way of online payment. Candidates need not join the colleges after the first allotment. However, the candidates may lose their allotment if they do not pay the fees before the prescribed date. The candidates should know that the options once lost will not be available in the subsequent phases. Each Paper will have 4 version/sets.KEAM 2018 will be objective type with Multiple Choice Questions and based on single response.Each Paper will have 120 questions to be answered in 150 minutes. Each question carries four marks. For each wrong answer, 1 mark will be deducted from the total score. How to answer Questions on the OMR Sheet? The students should answer the questions using blue or black ball point pen only. Candidates should not mark answers. Answers marked using Gel pen and Pencil will not be considered in the total calculations in any case. 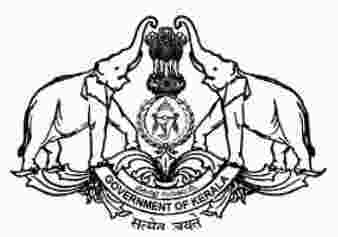 NOTE: Kerala State Government will not conduct any entrance for medical and allied courses which are MBBS, BDS, Ayurveda, Homoeopathy, Siddha, Unani, Agriculture, Veterinary, Fisheries, and Forestry. The candidates who wish to apply for professional degree courses in Engineering, Architecture, MBBS, BDS, Ayurveda, Homoeopathy, Siddha, Unani, Agriculture, Forestry, Veterinary, and Fisheries have to fill the form released by CEE Kerala. KEAM is the primary entrance exam in which near about one lakh twenty-five thousand candidates participate every year. Both Keralites and Non-Keralites are eligible to apply for the Entrance Examination. However, the majority of the seats in Government College are reserved for students from Kerala. Helpline No. (24 hours available): 155300 From BSNL network. Mobile users prefix 0471. 0471- 2115054, 2115098, 2335523 From other networks.